An exciting day! 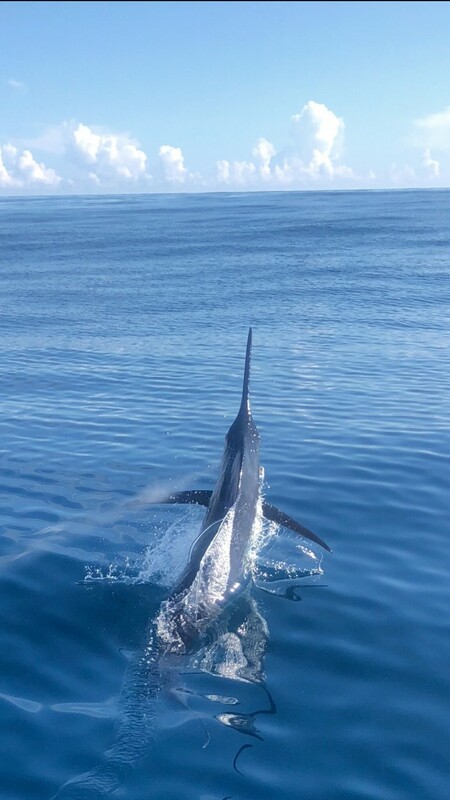 The Pelican crew landed a nice catch of Dolphin and released two White Marlin and a Sailfish! WAY TO GO!! There is no substitute for this kind of FRESH! Nice catch of Dolphin today. Good work guys! 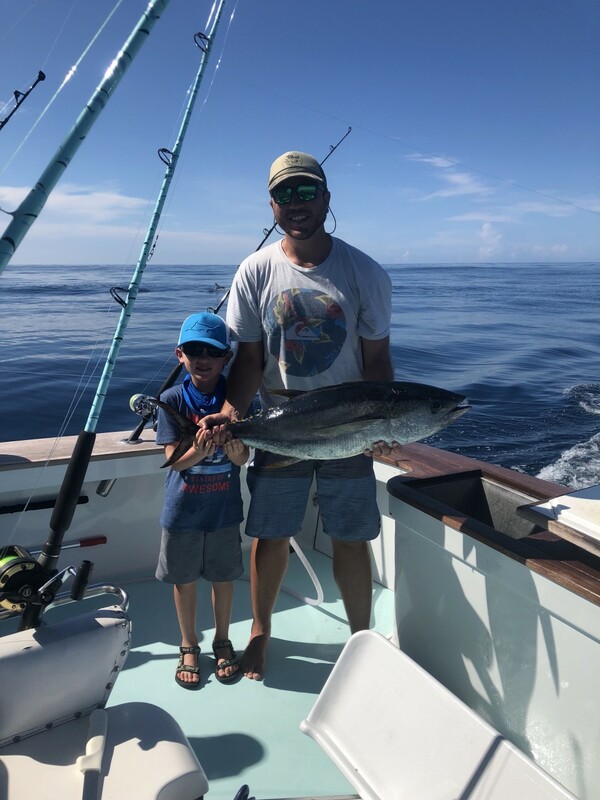 We had a fun day today with a great catch of Dolphin a few Yellowfin Tuna and a Wahoo! https://www.fishthepelican.com/wp-content/uploads/img_4100.jpg 1280 960 Summer Bracher https://www.fishthepelican.com/wp-content/uploads/2018/11/pelicanlogo-circular-3-300x300.png Summer Bracher2018-06-28 18:01:402018-06-28 18:01:40Nice Catch! Conditions changed just slightly for us today. We have a weather front approaching and the water temperature varied which prompted a natural response. We still triumphed with a load of nice Mahi and Yellowfin Tuna!! 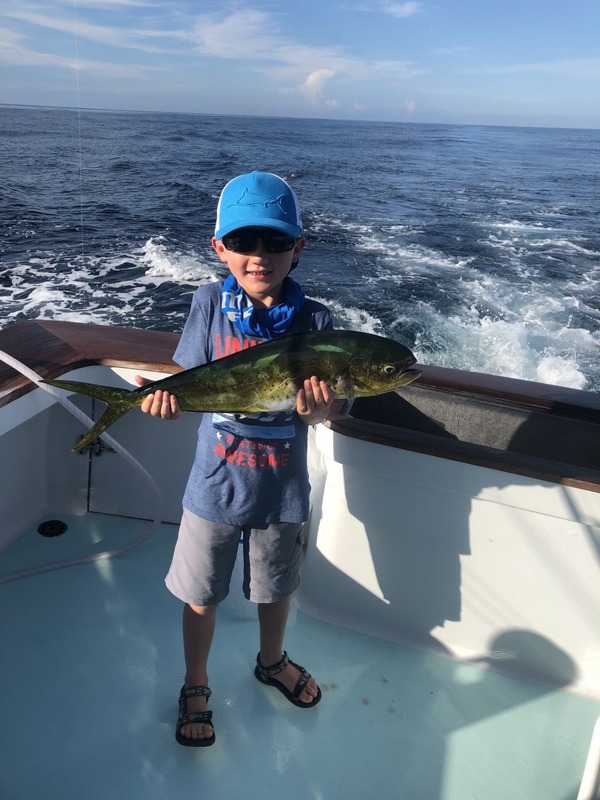 Nice work to Jimmy and his crew…that’s a big Mahi laying on the dock!!!! https://www.fishthepelican.com/wp-content/uploads/img_0759.jpg 480 640 Summer Bracher https://www.fishthepelican.com/wp-content/uploads/2018/11/pelicanlogo-circular-3-300x300.png Summer Bracher2017-05-19 18:32:582017-05-19 18:32:58Great Day Meat Fishing!! 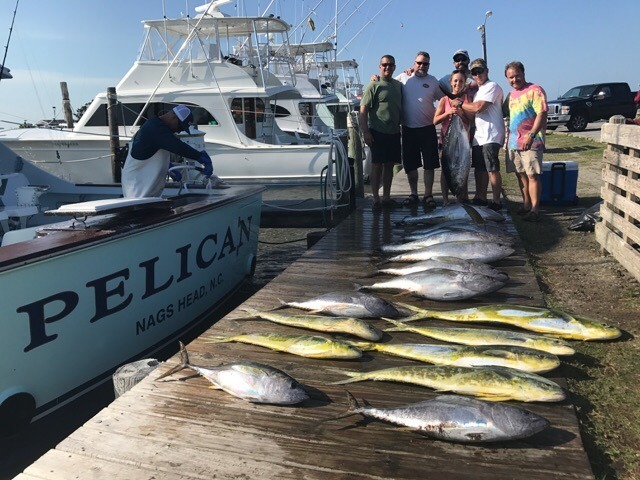 A great catch of Tuna, Mahi and the first White Marlin of the year for the Pelican!! It was a gorgeous day with slick calm seas. Great work! https://www.fishthepelican.com/wp-content/uploads/img_0722.jpg 1280 960 Summer Bracher https://www.fishthepelican.com/wp-content/uploads/2018/11/pelicanlogo-circular-3-300x300.png Summer Bracher2017-05-16 19:31:472017-05-16 19:31:47BEAUTIFUL DAY! It was a rough start this morning but that didn’t scare this tough group of men! They handled the day like real fishermen and ended the day with a bounty of Tuna!! Great work Bounds crew!! An excellent day for Connie and Frank Cimler!! They simply wore them out just the two of them. https://www.fishthepelican.com/wp-content/uploads/img_0654.jpg 1280 960 Summer Bracher https://www.fishthepelican.com/wp-content/uploads/2018/11/pelicanlogo-circular-3-300x300.png Summer Bracher2017-05-09 20:33:532017-05-09 20:33:53Excellent Day! An excellent day today! After catching a few Mahi offshore, we decided to take a look inshore for Cobia but not before Casey landed a citation 61 lb WAHOO!!! WAY TO GO KID!! Inshore we caught several Cobia in 40-60 lb range, our biggest weighing 67 lb. Way to go guys! https://www.fishthepelican.com/wp-content/uploads/img_0508.jpg 1280 960 Summer Bracher https://www.fishthepelican.com/wp-content/uploads/2018/11/pelicanlogo-circular-3-300x300.png Summer Bracher2017-05-03 21:19:592017-05-03 21:44:52Casey = Big Fish!